How can I do what I am good at and enjoy? Finding what you're good at and enjoy is your gift; your passion. Once you uncover this lost treasure, you will never want to let it go - but at the same time you will be eager to share it with the world! We get caught in jobs because of being pressured into a career path or feeling we need to make more money than our neighbors to ‘keep up with the Jones’s’. 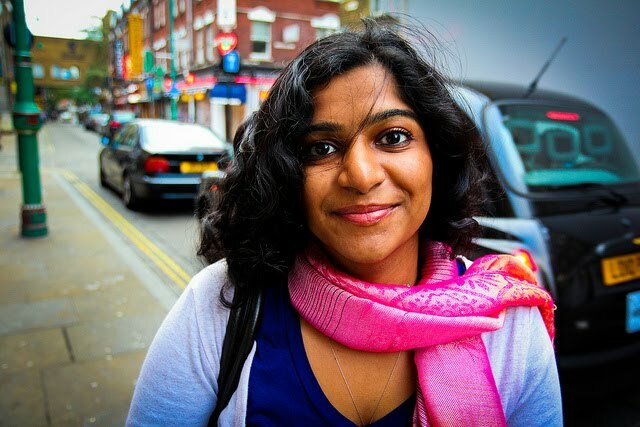 In India, I have met many people who feel pressured to go abroad because “…. someone has to … just look at all our neighbors on our street, in each house at least one person is abroad sending money home. Those people have a nice home and don’t have to worry about money.” On and on goes this thought process. Whether it’s based in reality or not is questionable (just because it looks like someone doesn’t have money problems doesn’t mean they aren’t, for instance); none the less, people live in this reality and those who are forced to move abroad to study and settle or marry and settle may someday resent their circumstances being trapped in a life and career that is not at all interesting to them, but does provide some kind of financial security. Many of us are caught in this dilemma. Working in the career we’re trained because it brings in really good money but no satisfaction or quitting and wishing day by day that our dream starts to pay the bills. Of course quitting the job without planning is never advisable; especially when you have a spouse or children or others depending on your income. Planning is the key. How can we plan to move from our ‘dead end job’ to a self-employment situation that pays the bills and provides fulfillment? This is NOT easy and the path to self-employment and entrepreneurship is not an easy road. It’s full of people pushing you down, saying ‘no’ to you, and denying opportunities. It takes a lot of determination, patience and relationship building (ex. Networking). All of these things take time. But the good news is it can be done and it can be done by you with the right planning and mindset-coaching. In a recent talk I attended on Maximizing Your Potential, my mind was refreshed on how to go about this. The speaker offered us a list of questions to answer to help us get to our gift. If we want to work at something we like and are good at, we have to figure out what that is. The first place to start is by asking some questions to ourselves. You’re right! It is a dream. But dreams can come true with the right planning, mindset-coaching and determination. Again patience and goal planning is key. So, a place to start is by answering the questions and then figuring out how to get from where you are now to where you want to be. That is the GAP. That gap can be filled by talking to your family or friends about your ideas, dreams and goals. Maybe someone is willing to help you plan your approach and game plan. But, let me warn you at the same time, that the percentage of people who immediately get family or friend support is much less than those who do. Our family and friends love us. They want to see us secure- and entrepreneurship is or at least appears much more insecure than a ‘secure’ job from an employer (that could technically let us go at anytime for no reason). Do you want your security determined by your boss or more by yourself and your actions going forward? Practical aspects like providing yourself health and dental coverage and any benefits you may be used to getting from your workplace. How your other family members can step in and help with the business or filling in the gap financially or otherwise. network and find people to help you. Places like entrepreneurship networking support groups or small business associations can be helpful. Taking an entrepreneurship class or workshop can also be helpful. Networking with local entrepreneurs and asking for informational interviews can be helpful. Also, hiring a coach can be beneficial. There are probably other people out there who can be equally helpful; sometimes found in the most unlikely places. Good luck on your journey to find your gift and passion. When you are ready to give your gift, the world is waiting to receive it. How my experience professionally and personally can enhance your career coaching exploration program with me.